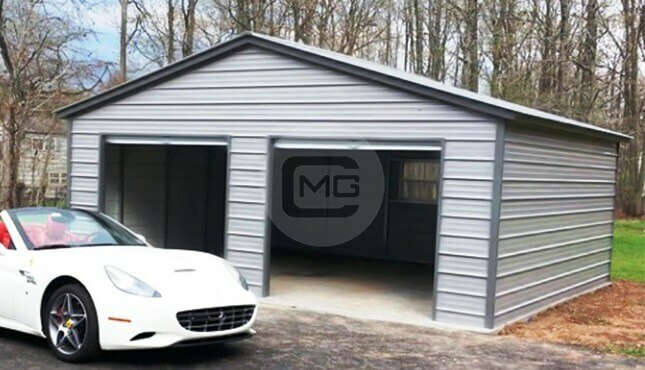 One of our most popular custom metal workshop. 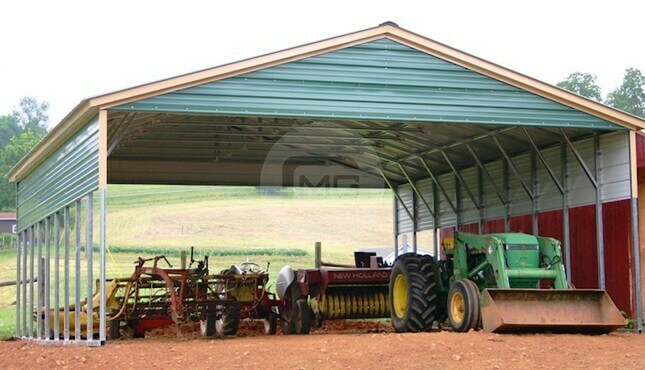 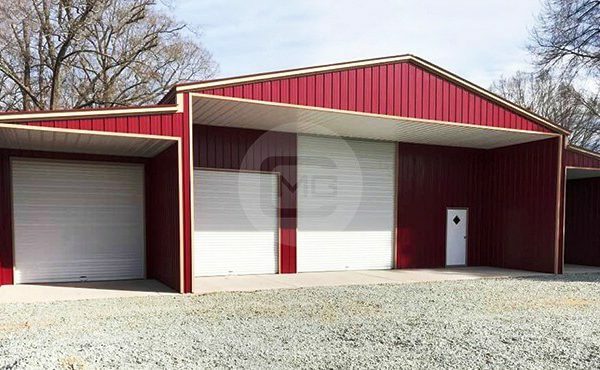 The Center building is 30x51x14 Vertical roof workshop with (1) vertical gable end and vertically enclosed sides and ends. 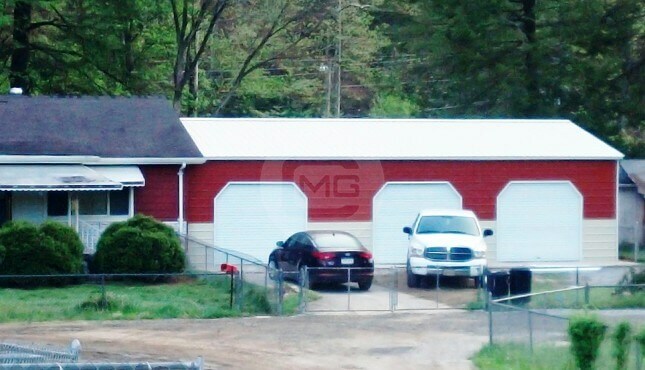 The front wall has been pushed back 10′ to create a “porch area”. 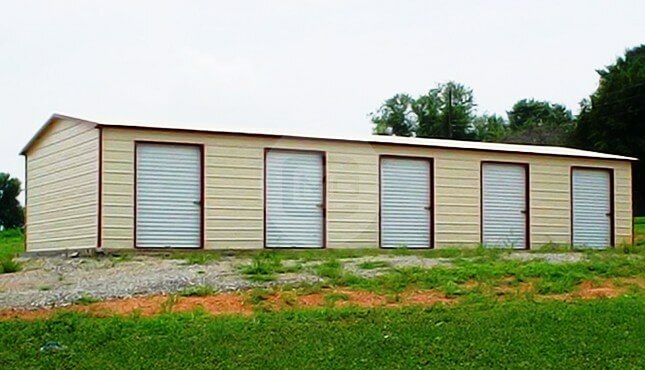 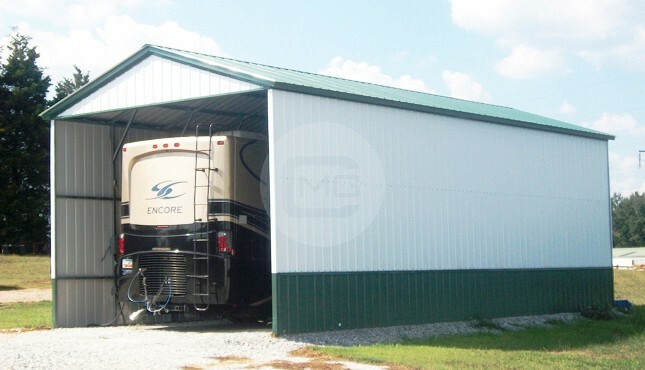 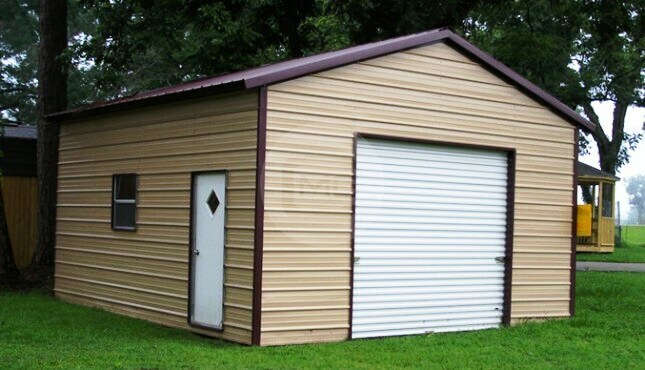 It has (1) 12’x12′ metal roll up door, (1) 9’x8′ metal roll up door and (1) 36″ x 80″ walk in door on the front wall. 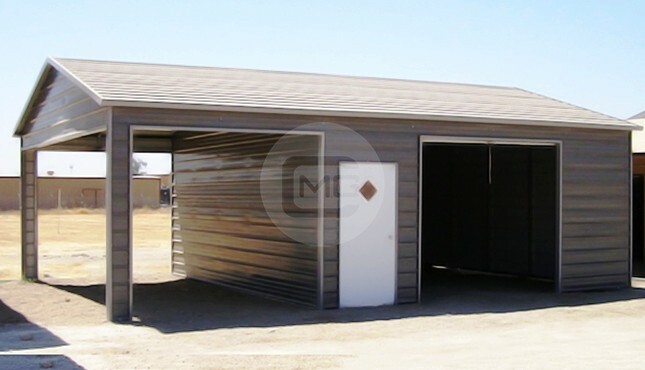 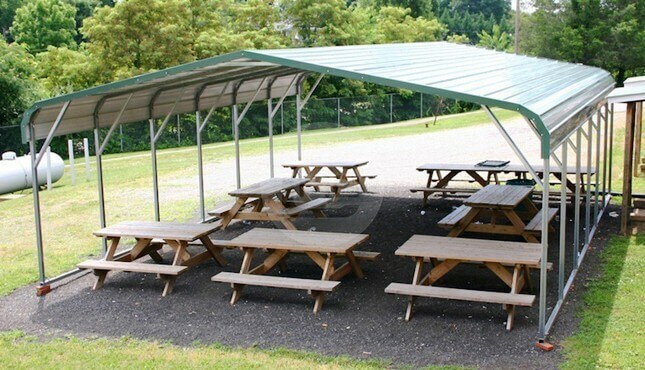 The lean-tos are 12x51x11 Vertical roof and each enclosed with vertical gables and vertical sides and ends, they both have (1) 9’x 8′ metal roll up door on each front wall. 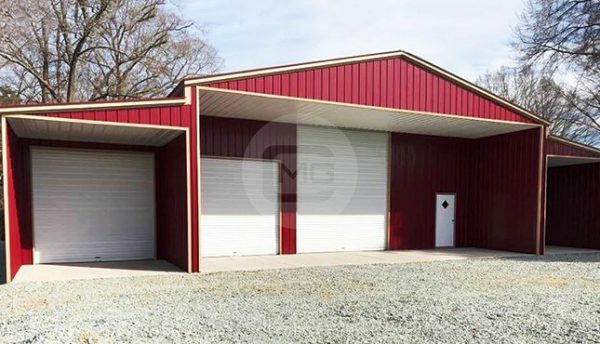 This building has (7) windows total.